Heat oven to 400°F. Spray cookie sheet or shallow baking pan with cooking spray. 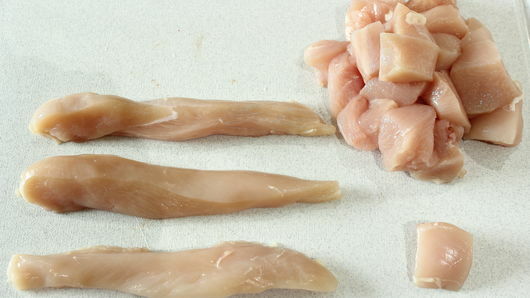 Cut chicken into1-inch-wide strips. Cut strips into pieces to form 1-inch squares; place in bowl. 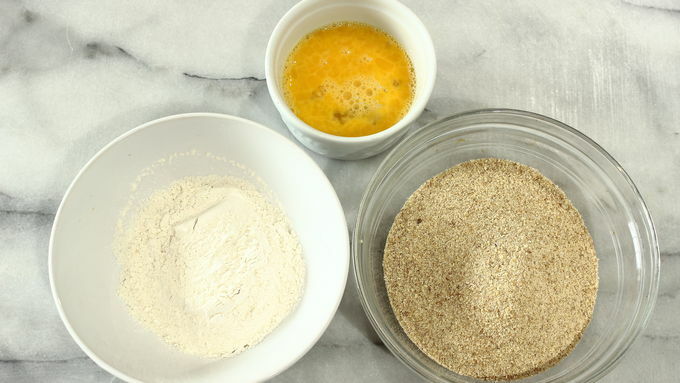 Place flour, beaten eggs and bread crumbs in separate shallow bowls. Working with a few chicken pieces at a time, coat each piece with flour, shaking off excess. Dip each into beaten egg to coat; roll in bread crumbs to coat completely. Place on tray or platter. 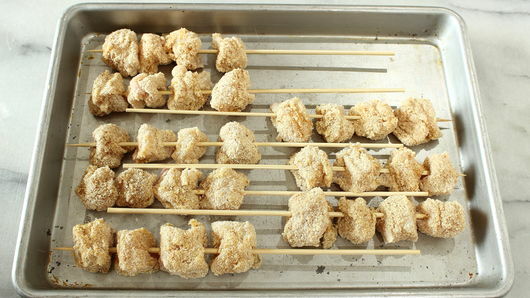 Thread 4 pieces of breaded chicken onto each wooden skewer, leaving a small space between each; place on cookie sheet. Bake 10 minutes. Turn skewers over; bake 10 minutes longer. 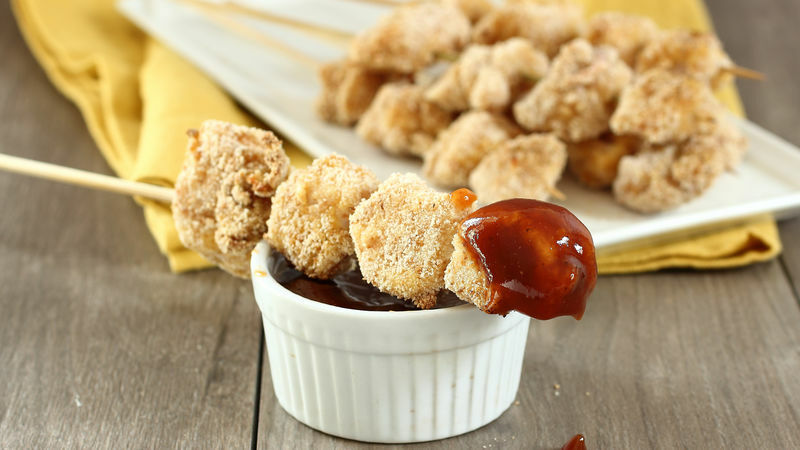 Serve immediately with your favorite dipping sauce. If you have a few extra pieces of chicken, just add them to any skewer. You could use any dipping sauce you like or a bunch of different ones. Switch up the plain bread crumbs for the Italian seasoned variety.